You can rely on chance when trying to find the perfect bed – or you can search systematically. 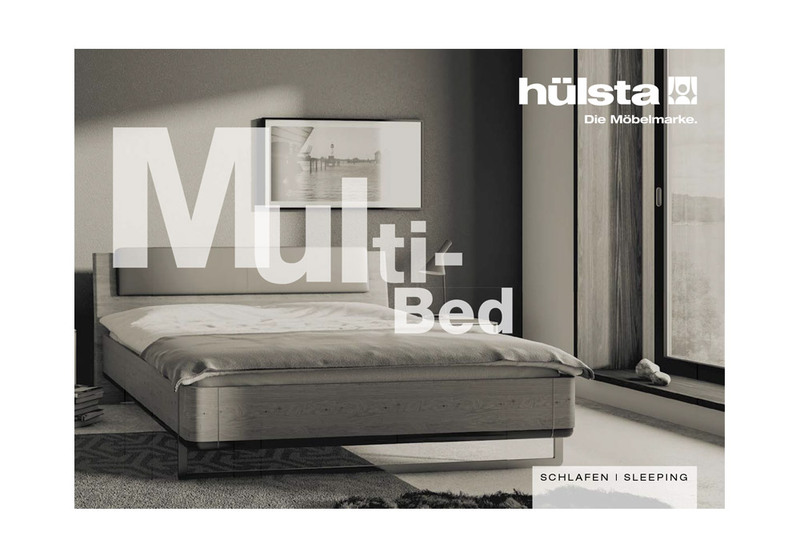 With MULTI-BED, all the versions and dimensions are compatible with one another but also with other MULTI furniture from hülsta. This provides you with a maximum degree of choice: different headboards and cover upholstery enhance the basic choice, besides lacquer colors and genuine wood veneers there are also countless fabric and leather version s to choose from. Thanks to the flexible lying heights and optional storage space available, MULTI-BED unites comfort and function intelligently to create a most convincing system – and more importantly: your own personal dream bed.